Every year, there are almost a quarter of a million injuries sustained from Florida car accidents. Across the U.S., automobile crashes are one of the leading causes of death. More and more people are driving distracted, under the influence, or aggressive enough to cause an accident. When you’re injured in a car accident, it can be one of the most overwhelming times in your life. Medical bills pile up. Insurance companies fight against taking responsibility, and pain from your injuries can be excruciating. Our Cocoa car accident lawyer is committed to getting injured Florida drivers and passengers the compensation they deserve for their pain and suffering. Knowing what to do after a car crash can help our experienced Cocoa car accident attorney win your case. What should you do after you’ve been involved in a car accident in Florida? Car accidents can range from minor annoyances to full-blown disabling events. No matter how severe or minor your accident is, there are a few steps you need to take so you don’t jeopardize your claim. 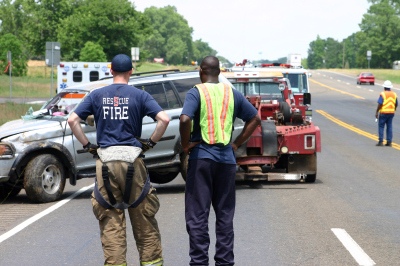 If your accident is more severe than a minor scratch or a ding to the fender, you want to get medical attention. Even if you don’t feel hurt, some injuries may not cause any pain for several hours, or even a day or two after impact. Getting swift medical attention creates an official record, and it also ensures that you don’t go home with something seriously wrong that you aren’t aware of. Under Florida law, if your car accident damages exceed $500, you must report the crash to the police. Contact the local police or the Florida Highway Patrol to make a report. The report also creates an official paperwork trail that will help your Cocoa auto accident lawyer negotiate a fair settlement for your pain and suffering. You’ll want to give the other driver your contact information, vehicle make and model, license plate number, and your insurance information. You’ll also want to obtain the same information from them. If there were witnesses to the accident, get their information too if you can. Otherwise, the police will gather witness statements and contact information if you are severely injured at the crash scene. It’s important to note that even if you think you caused the accident or were partially responsible for the crash, do NOT make that statement. The insurance company will use any and all statements against you, so be careful what you say. After a crash, you’ll need to file a claim with your insurance company asap, even if you weren’t responsible for the accident. The insurance company will investigate your claim to determine who is at fault for the crash, and how much in damages it caused. If you have questions about your claim or your benefits and coverage, it’s a good idea to find out from your insurance company before contacting a Cocoa car accident attorney. Please keep in mind that insurance companies are generally for-profit companies and they may consider their bottom line over your injuries. Finally, it’s important that you contact an auto accident lawyer in Cocoa soon after filing a claim. An attorney can protect your rights and negotiate with the insurance companies on your behalf so that you can rest and recuperate. Our experienced Templeton Law auto accident lawyers in Cocoa are committed to getting you the maximum amount for your pain and suffering under Florida auto accident law. Please contact us today for your free consultation and see what we can do for your car accident claim.